That’s easy to remember. Someone traveling on a highway will see your billboard and, when the time comes and they need legal services, recall your number and call you, right? It’s possible, but not always likely. Today’s client is much more likely to grab your law firm’s phone number from the Internet at his convenience than scribble it down on a napkin as he’s passing by. 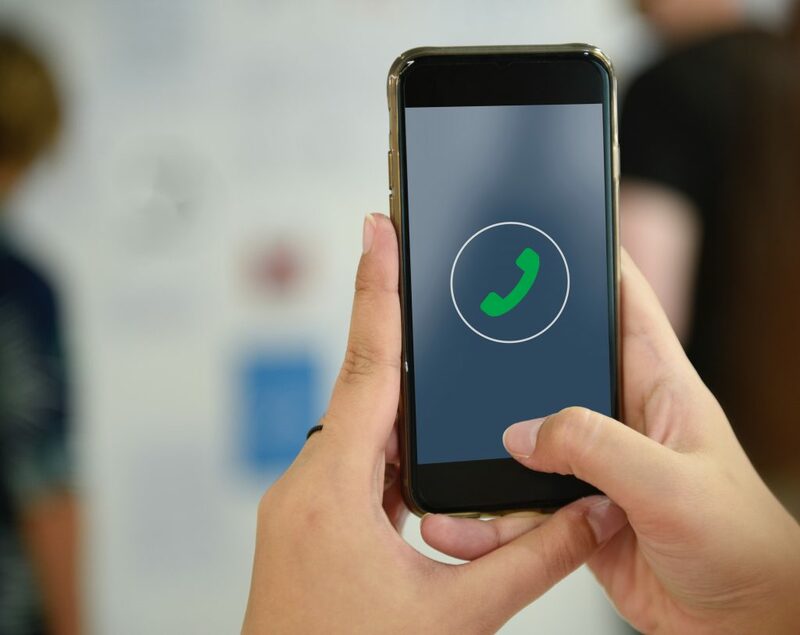 Knowing where your calls are coming from is an extremely important part of your marketing efforts, and that’s why SLS Consulting always recommends call tracking for our clients’ websites. What Is a “Vanity Number”? A “vanity number” has nothing to do with vanity, and everything to do with being memorable. Vanity numbers are customized local or toll-free numbers that may be purchased for your company. An example would be a phoneword phrase like “1-800-WE FIX IT!” or the phone number at the beginning of this article. These numbers bloomed in the 1980s after a federal judge broke up the “Ma Bell” phone company monopoly, and have served us ever since. But in the information age of mobile devices and “click to call” from Google, do they still have a place? Yes—but not in the same way they once did. Let us explain. We Need to Know “What Makes the Phone Ring”! As you might imagine, knowing these facts can make a huge difference in your marketing strategy. Before, you had no way to know what made someone pick up the phone and call you unless you asked them—and they remembered and told you the truth. Now, with a call tracking service, a company keeps track of the data for you. But this doesn’t necessarily mean that your existing phone number (vanity or not) is no longer useful. On the contrary, your primary phone number is typically still going to be used throughout the Internet on local listing directories and will still be readily available for anyone who finds you anywhere on the Internet other than your website. People who are visiting your website didn’t arrive there by accident—they’ve come across your website in a search and have chosen to search the site for some sort of specific information that they need. From a business perspective, it would be useful to know which pages on your website spark users to dial the phone and inquire about your services. Enter the call tracking number. It’s important to remember that people who come to your website to find information are at a very different “stage” of the conversion process than people who simply hear a jingle on the radio, see an advertisement on TV, or watch your billboard go flying by. A vanity number will help the latter group keep you in mind and build your brand, but a call tracking number captures people at the point of contact—which is often the point of conversion. This information is immensely helpful to both your marketing company and you. Your marketing company can analyze the results, and see which pages are attracting the most attention and why. What’s working? What isn’t, and needs to be tweaked? You get to see how your marketing dollars are bringing a ROI. And the more data you have at your fingertips, the more you can find ways to maximize your marketing dollars. We recommend having a case intake system in place as well. Did that call that originated from your “semi-truck accident” page end in a $500,000 settlement? Great! Tell everyone (and especially your marketing company)! Vanity numbers and call tracking numbers serve two very distinct purposes. Vanity numbers are a great way to brand your law firm. If you’re able to secure an easy-to-remember phone number, running that number on external marketing campaigns is an effective way to not only determine your ROI, but to associate your law firm with a catchy way of contacting you that some people may recall down the line. Call tracking numbers are a great way to determine ROI, but call tracking systems are often capable of so much more data that can be used to tweak your existing marketing campaigns and determine how well your website is converting. They’re numbers that should be placed on your website to not only determine whether or not your content is converting, but also if people are navigating through your website fluidly enough that they remain on your site for an extended period of time. A vanity number might get someone to your website, but a tracking number is going to tell you how that person interacted with your site. When he’s ready to call, your Average Joe Client may remember a vanity number (if you run billboards, radio ads, or other print campaigns), but, if he’s already on your website, it won’t do much more than that. Tracking numbers will supply you with valuable data that can be used to influence future marketing campaigns, and this often means a more streamlined (read: cheaper) approach when it comes to digital marketing expenses. Have questions about call tracking, or want to hear more about developing your online legal marketing strategy? Call SLS Consulting, Inc., at (323) 254-1510 or connect with us through our website.